Not much since you still end up with no car. Thursday morning at the Chrysler/Jeep/Mitsubishi dealership (and my first experience with an FCA dealership). Thought this was a Texas Chik-fil-A for a minute. Nothing wrong with the WK2 by the way, just getting the sun visor recall done. 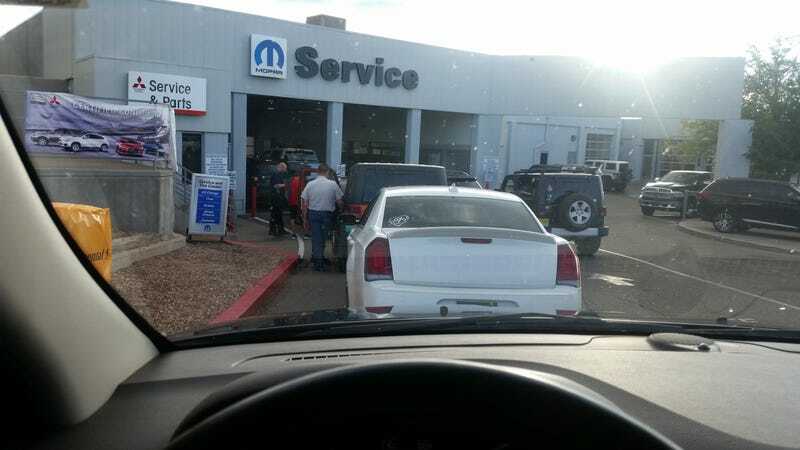 Super friendly service department, must be the dollar signs on top of all the hoods!